André is a detail-oriented software engineer with desire for a simple user experience and clean, organized code. He always strives to improve the product, and embrace efficiency from keyboard shortcuts to JIRA workflows to implementation. 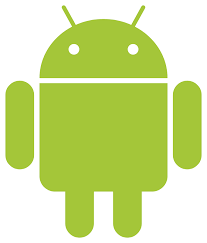 iOS (focused) and Android engineer. Part of the team that delivers iFit's Cardio app for mobile and built-in tablets using Xamarin and MVVM Cross. Architected and implemented a core webview framework for iFit. Later improved performance with a home-built webview preloader and cache. Spearheaded knowledge gathering and implementation of in-app dev-environment switching. Improved and refactored analytics to be sharable with other iFit apps. Incorporated native In-App-Purchases for iOS and Android into our cardio app. Architected and led the refactor to support Pandora Premium features in multiple automotive integrations. iOS lead for implementation. Delivered and maintained Pandora on CarPlay. Apple's developer point of contact. Redesigned iOS and Android Chromecast code to improve expandability and cleanliness. Influenced and developed beautiful new Chromecast UI with smooth animations. Migrated HTML5 app from Perforce code to Git and introduced git submodules. Designed and implemented a flexible version serving mechanism for our HTML5 app. Initiated a developer documentation refresh for all existing Automotive projects. Delivered "Now Trending" & Social Sharing features for new iPad Apple Store App. Abstractly coded Objective-C to render a server-driven native client experience. Implemented server-side Java code to support Trending and Social features. Android development for Amazon’s music applications. Owned layout support for Amazon’s (new) Kindle Fire HD 8.9”. Refactored UI layouts to share code across all three new Kindle Fires.